D-5805, being delivered in two containers. 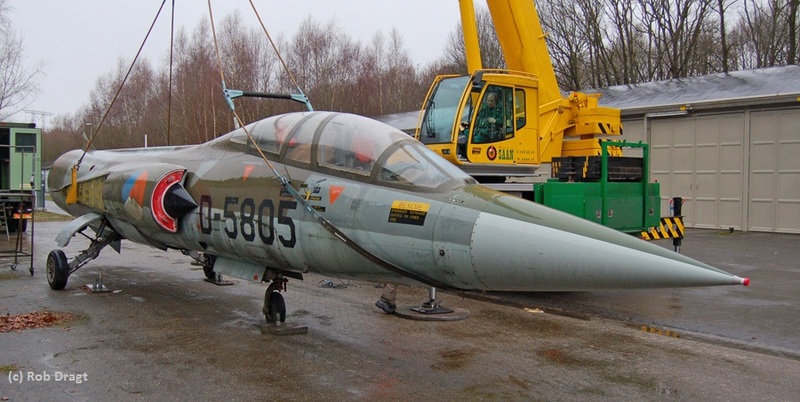 The aircraft will be restored into an ex Cold Lake CF-104D in bare metal look, and revealed at the end of this year (planned). Due to some delays with customs this tuesday the aircraft is now expected to arrive today (wednesday March 27th) or tomorrow. contractor having the same process completed. were photo documented in detail exterior and interior for our archives. tanks…both being done by our volunteers. Starfighter 104651 as flown in 1980 at Cold Lake Alberta. to pop up and eject. others donated and some form our archives it should be a great exhibit. I have already sent my story about the D-5805 ,I tell joy about the story with this aircraft as crew chief on airbase Twenthe the Netherlands,it will be ferry interest for me thank you very much greetings from Frits Nulle the Netherlands.